In April, the members of the Whittington Valley Neighborhood Association met to celebrate the organization’s twenty-fourth anniversary. Since 1988, the Neighborhood Association has worked to preserve the unique character of one of Hot Spring’s oldest neighborhoods, the Whittington Valley, while also promoting the Valley and its recreational amenities to the larger Hot Springs community. By forging productive relationships with city officials and other civic entities, the Neighborhood Association has pursued a variety of endeavors, both large and small, to improve the quality of life for Valley residents and visitors alike. 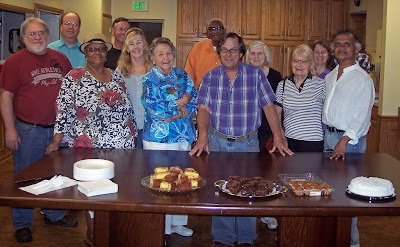 Members of the Whittington Valley Neighborhood Association gathered in April 2012 to celebrate the Association's 24th year of continuous service to the Valley and its residents. Pictured (front, left to right): Tom Wilkins, Bernistine Kilgore, Darthy Tyrity, John Lewis, Elfriede Collins and Dr. Kumar Maruthur; (back, left to right): Mark Toth, Byron Jackson, Carolyn Lewis, Frederick Gilgore, Patricia Heibner, and Merrie Long-Everhart. Not Pictured, Richard Everhart and Verna Linder. Currently the Association is working with the City of Hot Springs on several projects. 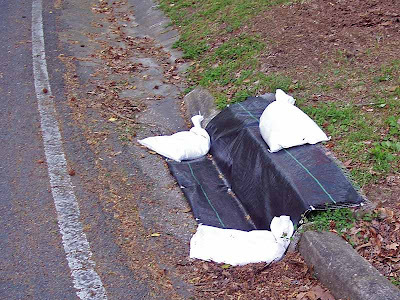 Partnering with the city’s Engineering Department, the neighborhood has obtained a $15,000 federal grant to begin replacing damaged and missing segments of the sidewalk around Whittington Federal Park; it is expected this will be a multi-year project. The Neighborhood Association is also working with the city’s Planning Department to obtain Historic Register District status for the residences around Whittington Federal Park. Finally, working with the Hot Springs Parks and Recreation Department, new restrooms, playground equipment and benches will soon be installed in one of the Valley’s municipal parks. The Neighborhood Association has also aided Garland Habitat for Humanity’s mission of providing affordable housing to worthy families. Within the last year, Habitat has completed six new single-family residences in the Valley. Before construction began, the Association worked with Habitat to obtain unrestricted access to $45,000 in federal funds for site preparation and to extend water and sewer lines to each property. And representatives from the Neighborhood Association were present at each house dedication, welcoming the Valley’s newest residents with gift bags that included posters, calendars, handmade greeting cards and homemade brownies. The Neighborhood Association has also partnered with local charitable organizations to aid the less fortunate in our community. Over the last three years, the Association has provided more than $1,200 to help feed the hungry in Hot Springs by providing cash donations to the Salvation Army, the Roanoke Baptist Church and the First Presbyterian Church to aid with their holiday food drives. The Association’s efforts to promote the neighborhood to a wider audience includes producing handmade greeting cards that feature color photos capturing the sights and natural beauty of the Valley. The Neighborhood also maintains a website with news of interest to Valley residents and a calendar of upcoming events. 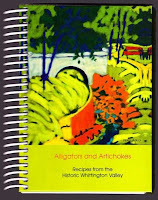 The Association has published a popular cookbook that is part recipe guide and part coffee table art book. 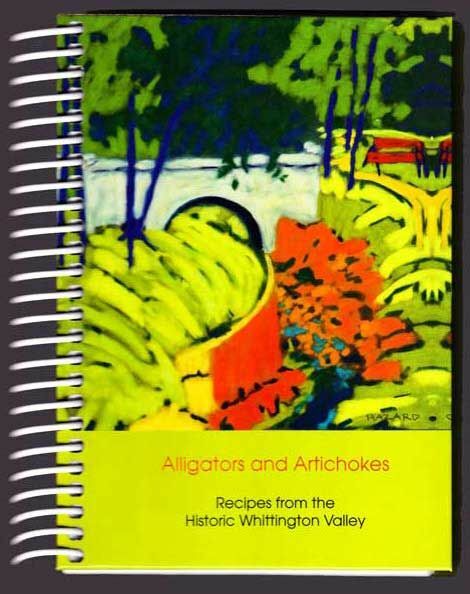 Included among the recipes are pages that recount the Valley's colorful and storied history including how, over the past one-hundred plus years, an eleven-acre strip of land in the middle of the Valley came to be developed by the National Park Service into a wonderful public park with walking trails, mature trees, and white arched pedestrian bridges. The Association also sponsors two potluck picnics each year, one in the Spring and one in the Fall, and a Christmas party. These social events are an chance for friends and neighbors to meet as well as providing an opportunity to thank everyone who has worked to improve the neighborhood. The Association’s 2012 Spring Potluck Picnic is schedule for May 5th, from noon to 3:00 pm in Whittington City Park. The Whittington Valley Neighborhood Association meets monthly, on the second Monday of the month (except for June when there is no meeting). Meetings start at 6:30 pm, rarely last more than an hour and are held at the Valley's own First Presbyterian Church, 213 Whittington Avenue. Guests and visitors alike are welcome to attend. For 2012, the city will launch its first “Operation Clean Sweep” in the Whittington Valley. The enhanced enforcement and assistance activities will occur over a three week period beginning on Monday, May 7th, 2012. The city is hoping to contact all property owners and residents in the Whittington Valley and provide guidance and assistance in how best to improve and maintain one’s property. Stage One (1st week): Beginning Monday, May 7, two-person teams from the Planning Department’s Neighborhood Services Division will distribute information packets door-to-door. The packets contain important information concerning various city services offered during and after Operation Clean Sweep. The packets will also include a violation notice for properties identified as violating the city’s property maintenance ordinance. 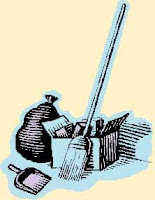 Stage Two (2nd week): Beginning Monday, May 14, the Sanitation Department’s CAPS (Clean, Attractive Property Service) trucks will visit the neighborhood daily, collecting items placed curbside by residents. The city street sweeper will travel through the area and Alternative Service workers from Hot Springs District Court will augment the cleanup efforts. Stage Three (3rd week): Beginning Monday, May 21, Neighborhood Services inspectors will follow up on the violation notices issued during the first week and address any remaining issues. During the entire three week period the Hot Springs Police Department will provide additional neighborhood patrols, targeting drug and other illegal activities. Fire Department personnel will also address fire safety concerns identified during the sweep. And Hot Springs Animal Services will assist with any animal issues arising from door-to-door visits and inspections. To learn more about the upcoming “Operation Clean Sweep” program in the Whittington Valley, please contact Hot Springs Neighborhood Services Administrator Bart Jones at 321-6857. 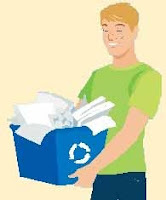 Garland County residents can bring unused or leftover household products containing toxic, flammable, corrosive or reactive chemicals to the Garland County Fairgrounds for safe and free disposal on Saturday, May 5th, 2012 between 8:00 am and 1:00 pm. Materials need to be in their original container with a legible label. Electronic waste and passenger tires (no rims) will also be taken for recycling. Acceptable items include: automotive fluids such as antifreeze or brake fluid; paints, thinners, strippers and solvents; household pesticides and herbicides; water-based cleaners and bleaches; compressed gas cylinders; and old kerosene and diesel fuel. Electronic waste can include monitors, computers, keyboards, mice, VCR and DVD players, televisions 19 inches or smaller, electronic games and microwaves. In addition, the Garland County Sheriff’s Department will hold a drug take-back collection; this provide residents with an opportunity to dispose of old or expired medications safely. Hot Spring Sanitation Department Director Bill Burrough advises everyone participating in the disposal program needs “...to be very careful in the way they handle what they are bringing to us. Make sure you’ve got these things contained with tight lids and place several containers in a corrugated box for stability in a car trunk or truck bed.” Burrough explained that trained personnel will be at the fairground's front gate to direct people to the proper area where they can drop of their materials for recycling or processing. The City of Hot Springs is providing area residents with the opportunity to clean out their garages and dispose of unwanted items free of charge. 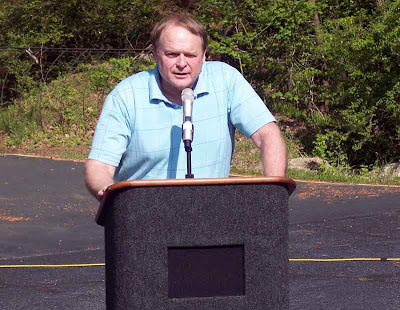 Sanitation Director Bill Burrough has announced that the city will he holding its annual “Spring Fling” neighborhood clean-up event on April 28th and 29th. This event allows residents to drop off bulky items at designated locations in the city free of charge. A large roll-off trash container will be placed at each location and residents are encouraged to stack their unwanted items in the container. Heavy or bulky items that can’t be placed in the container may be left on the ground next to the container. This is an opportunity to disposed of large bulky items such as used furniture, appliances or similar items. For the Park-Whittington area, the nearest drop-off locations are: GB Services, 808 East Grand; Quapaw Community Center, 500 Quapaw Avenue; and the vacant Lot at the corner of Dell and Park Avenues (across from Park Place Baptist Church). Most materials are acceptable for drop off except for brush, electronics, hazardous materials (chemicals, etc.) and tires. Electronics can be dropped off at the City's recycling center during normal business hours; the recycling center is location 218 Runyon Street, (off Valley). Tires will be accepted at most tire shops. Date: Saturday April 28th and Sunday April 29th. Sites: GB Services, 808 East Grand Ave.
Quapaw Community Center, 500 Quapaw Ave. Vacant lot at Dell and Park Avenues. Details: A large "roll-off" trash container/trailer will be placed at each location. Most materials are acceptable for drop off except no brush, electronics, hazardous materials (chemicals, etc.) and tires. Heavy or bulky items may be left on the ground next to the container. Hot Springs Fire Chief Ed Davis has announced that the Park Avenue Fire Station--which provides fire protection services to the Whittington Valley and Park Avenue areas--will remain open for “quite some time to come.” Peggy Maruthur, Hot Springs City Director for the Park Avenue and Whittington Valley communities, had previously warned that the fire station might be targeted for closure once a city-wide reassessment of fire protection services was completed. However Chief Davis has recently confirmed that the Park Avenue station is now deemed essential to maintaining the city’s current fire prevention rating and therefore the station will not be closing. In an interview on April 16, 2012, Hot Springs Fire Chief Ed Davis stated that the Park Avenue Fire Station, which serves both the Whittington Valley and the Park Avenue areas, will remain open for "quite some time to come." Chief Davis explained that an independent agency, the Insurance Services Office (ISO), routinely studies how fire departments can best protect their service areas. ISO looks at a wide range of factors, including a department’s existing equipment, staffing levels and the location of each fire station. The goal is to have personnel, trucks and stations placed so as to provide quick response times while covering the largest possible area, all at a reasonable cost. Fire departments that can document complete coverage of their service area are scored higher than those that have large gaps in coverage or slow response times. ISO ranks each fire department on a 1-10 scale, with a “one” representing those departments with the best possible coverage and a “ten” signifying departments with poor coverage of their service area. Obtaining a good ISO fire prevention rating is important for a variety of reasons. Foremost, most insurance companies use the rating to set their premiums; cities with a better rating have lower insurance costs. Currently ISO rates the Hot Springs Fire Department as a “two” on this 1-10 scale. “Less than one percent of all fire departments nationwide are rated a 2 or better,” Chief Davis explained. Chief Davis added that ISO has recently changed how they rate fire protection coverage. Previously ISO counted the number of hydrants within a given area to determine whether a fire station was needed—the assumption being that locales with more hydrants had more buildings at risk and therefore would have a greater need for fire stations. However ISO has abandoned the “counting of hydrants” standard. Instead ISO now calculates the “road miles” in a given area—the assumption being that a small area densely packed with many roads will have numerous structures but maybe not so many hydrants (because all the streets and buildings are closer together). Using the “road miles” method, given the number of streets around Park Avenue and the Whittington Valley, ISO has concluded that the Park Avenue Fire Station cannot be closed without adversely impacting the city’s fire rating. 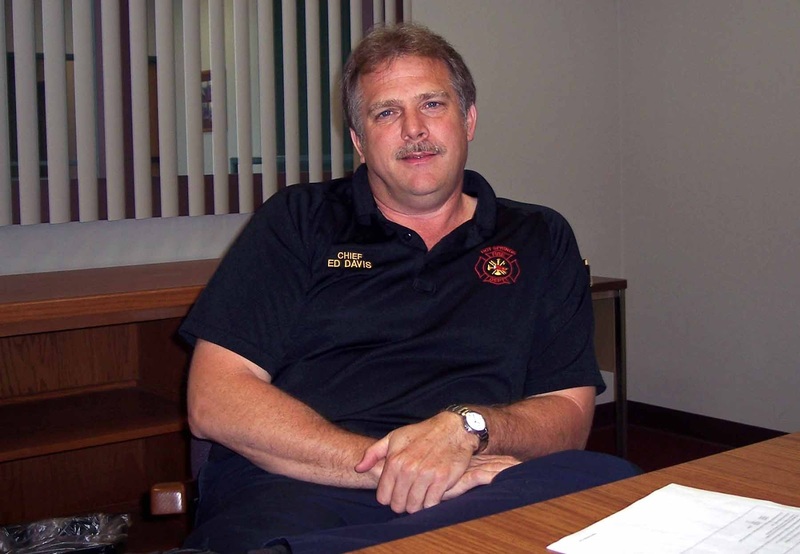 Chief Davis said that the goal of the Hot Springs Fire Department is to “Protect lives and reduce the economic threat posed by fire.” He added that the new ISO rating system means the Park Station will remain open for “...quite some time and avoids a potentially divisive political civil war over the closing of a fire station.” Bottom line, the Park Avenue Station will remain open for the foreseeable future and our neighborhood will continue to have excellent fire prevention service. A reprint of this article is available as a pdf by clicking here. Note: The article opens in a new window. 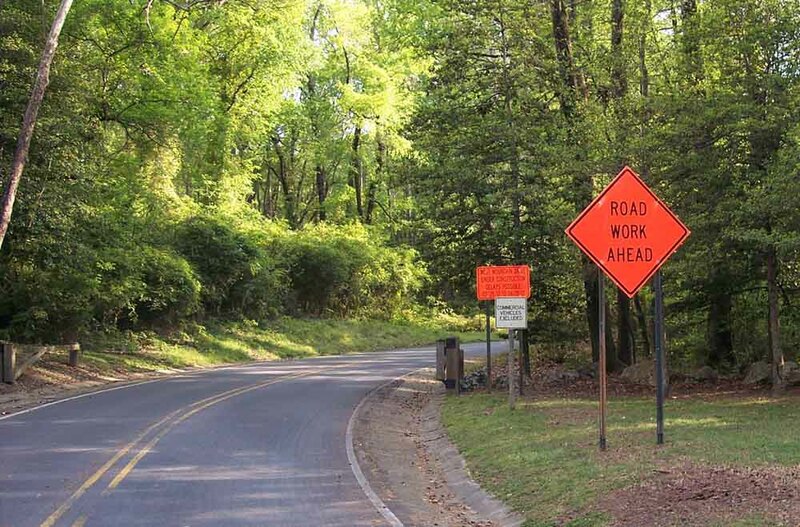 The National Park Service, acting to discourage impaired driving, will soon set up sobriety checkpoints on West Mountain Road, Gulpha Gorge Road and Blacksnake Road. 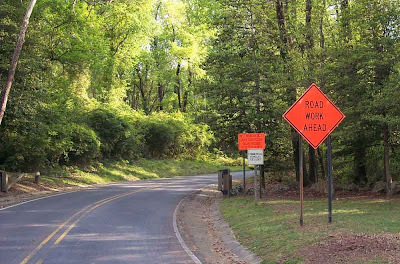 According to a press release from the National Park Service, the decision to employ such checkpoints came from an observed increase in the number of impaired drivers on the road. The checkpoints, which will be located on roads traversing Federal Park lands around Hot Springs, will be staffed by Park Rangers. Those tempted to risk drinking and driving are warned that the penalties for impaired driving on Federal Park land are severe: those convicted could face a maximum fine of $5,000 and up to six months in prison. Josie Fernandez, Superintendent for Hot Springs National Park, has announced that those arrested for driving while intoxicated on park land and subsequently convicted will also have their names published in the newspaper. Two of the roads providing access to the Whittington Valley are possible targets for the sobriety checkpoints. West Mountain Road links Whittington Avenue with Prospect Avenue and provides an alternative route south without having to travel through the often congested downtown corridor. And to the west, Whittington Avenue turns into Blacksnake Road at the far end of the Valley, linking with Mountain Pine Road and points west, including National Park Community College. Both roads run through Federal Park land and thus are potential sites for the sobriety checkpoints. According to the press release provided by the National Park Service, the checkpoints will remain in operation though, at a minimum, May 2012. 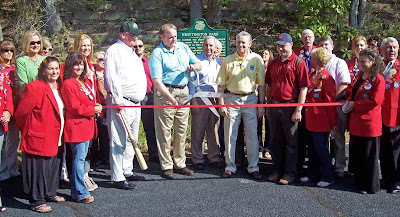 On March 29th, 2012, under sunny morning skies, a group of about one-hundred people gathered in the Whittington Valley to dedicate the Spa City's newest tourist attraction, the "Hot Springs' Historic Baseball Trail.” The trail celebrates the Spa City's role as an early spring training ground for professional baseball. 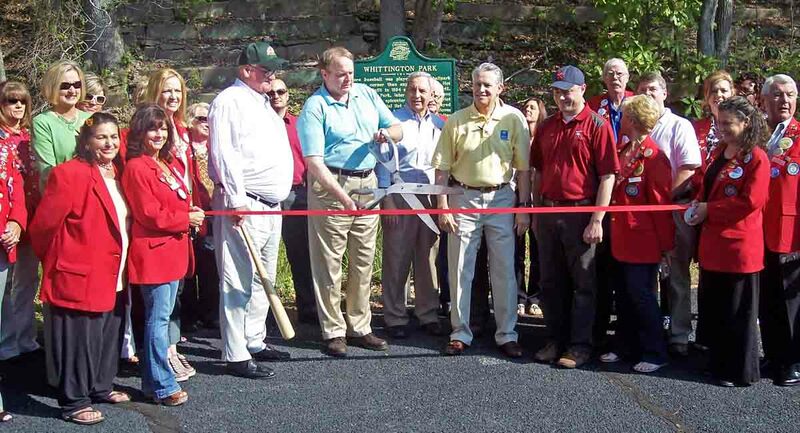 Members of the Hot Spring's Chamber of Commerce join baseball historian Bill Jenkinson (center, holding scissors) at the recent ribbon cutting dedicating Hot Springs' "Historic Baseball Trail." From this began the tradition of “spring training” for professional baseball teams. The idea was to relocate the teams to warmer climates to practice for the upcoming season. Hot Springs, with its spas, famous hot mineral baths, hiking trails, hotels and active nightlife was seen as an ideal location. While our variable spring weather meant occasional cold snaps (especially when compared to present-day spring-training locales in Florida), it was far preferable to northern climates like Chicago and Boston where snow could still be on the ground through mid-April. And unlike Florida, the Spa City wasn’t overrun with mosquitoes (a problem insecticides would only begin to tackle in the 1930's). As the Spa City grew in popularity as a training destination, five regulation baseball fields came to be built around the city, including two right here in the Whittington Valley. One of the Valley’s baseball diamonds, built in 1912, remains intact. Fogel Field, located up behind the Alligator Farm, was used mainly as a training field. The other baseball diamond, now lost to the passage of time, was the site of numerous exhibition games and had a covered spectator stand as well as open-air bleachers. Once known as Whittington Park (and later as Ban Johnson Field), the field’s concrete bleachers, now broken and overgrown, are the only visible remnants of the park’s past glory days as a haven for spring baseball. Whittington Baseball Field, aka Ban Johnson Field, circa 1920. It was on this now-long lost baseball diamond that the legendary George Herman Ruth Jr., better known as Babe Ruth, would hit a home run that would reverberate throughout the annals of baseball for generations. It was St. Patrick’s Day, March 17th, 1918. Ruth’s team, the Boston Red Sox, were playing an exhibition game against the Brooklyn Dodgers. Ruth, only 23 years old at the time, stood over home plate. At the time, early in his career, Ruth’s was known as a potent pitcher, not a hitter. But during this particular game his ability as a power hitter would became evident; he hit two home runs during the game. The first would send the ball into a wood pile past left field. Later in the game, Ruth would smash a long-drive high out past center field, over a fence and into one of the ponds at the Alligator Farm across the street. Even the players on the opposing team gave Ruth a rousing round of applause for his long-drive home run. It is estimated that this home run sailed some 573 feet. That single home run is cited by baseball historian Bill Jenkinson as the beginning of a “sea-change” in the game, transforming America’s pastime from a game of “incremental” singles and doubles to a game dominated by “home run” power hitters. for the dedication of the Hot Springs Baseball Trail. The trail consists of twenty-six large plaques scattered in and around downtown Hot Springs, each telling a small tidbit of our city’s long history with professional baseball. Six of these plaques are located in the Whittington Valley, all within eyesight of one another near the Alligator Farm and Weyerhaeuser. The plaques were erected by the Hot Spring’s Advertising and Promotion Commission. Steven Arrison, CEO of the Ad Commission, explained that placing the plaques was made possible only because of the hard work of so many people, including numerous baseball historians. Arrison also specifically thanked both Weyerhaeuser and the City of Hot Springs for granting access to place the historic markers on the public and private right-of-ways. Hot Spring's Historic Baseball Trail is designated with twenty-six green plaques, each recounting facts about an iconic baseball player or event that occurred on the site. Six such markers are located in the Whittington Valley. 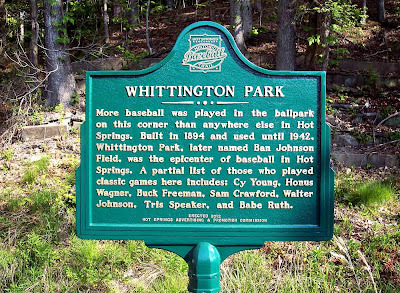 The marker shown above is located at 810 Whittington Avenue and reads as follows: "Whittington Park: More baseball was played in the ballpark on this corner than anywhere else in Hot Springs. 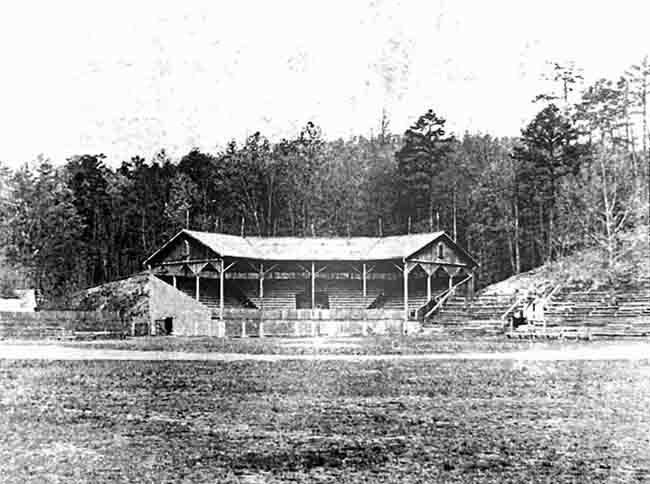 Built here in 1894 and used until 1942, Whittington Park, which was later named Ban Johnson Field, was the epicenter of baseball in Hot Springs. A partial list of those who played classic games here includes: Cy Young, Honus Wagner, Buck Freeman, Sam Crawford, Walter Johnson, Tris Speaker and Babe Ruth." Arrison also explained that it was often very difficult deciding what to write on each plaque. At any particular locale numerous significant historical events may have occurred--often far too many to recount on the green cast-aluminum plaques. So the Ad Commission decided to supplement the text displayed on each historic marker by making additional information available via cell phones and mobile devices. Near each historical marker is an QR code which can be read by any “smart” phone. Once scanned, the code will bring up a mobile web page that uses audio, photos and text to provide specific details about the events that occurred at that particular site. Visitors can also call 501-545-2063 and follow the voice prompts to hear an audio message about a site. As Arrison explained, the plaques are meant only as a jumping off point, telling an interesting fact or two, with visitors using their cell phones to unlock the larger historical context at each locale. According to a brochures produced by the Ad Commission (and available online and at the downtown visitors center), the baseball trail has three “entry points,” including one here in the Whittington Valley, near the Alligator Farm. Visitors are encouraged to take a walking tour along the trail, traveling in the footsteps of some of baseball’s truly iconic legends and learning about Hot Springs’ role as a spring training destination. To learn more about the trail visit HotSpringsBaseballTrail.com. 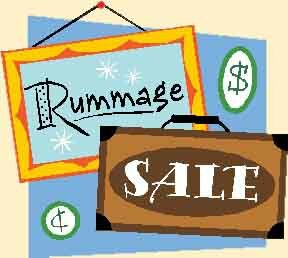 Our friends and northside neighbors in the Park Avenue Community Association (PACA) will hold a fundraising "Rummage and Bake Sale" on Friday April 6th and Saturday April 7th. The sale will start at 7:00 am and continue until 1:00 pm on both days. Experienced shoppers know to arrive early Friday morning to enjoy the best selection. This will be a community wide event featuring household items, furniture, tools, books, artwork, appliances, clothing and more. Among the baked items offered for sale will be "Rhonda's Southern Homemade Delights." This event will be held indoors, rain or shine, at the Low Key Arts Building at 118 Arbor Street, which is one block off Park Avenue across from the street from the Velda Rose Hotel. There will be abundant free parking. All proceeds benefit the Park Avenue Community Association. If you have items you want to donate for the sale or you want more information, please call PACA at 318-1339 or 627-6255. 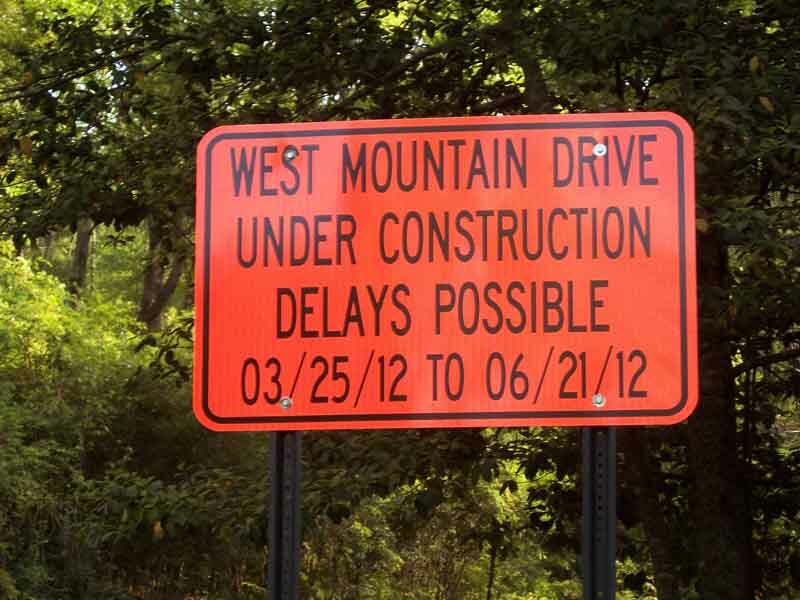 Valley residents traveling on West Mountain Drive will, on occasion, experience delays as contractors begin work along the entire length of the roadway from Whittington Avenue to Prospect Avenue. The road up to West Mountain Summit will also be repaired and upgraded. Signs along West Mountain Drive, Near Whittington Avenue, Tell Drivers of Possible Delays Due to Construction and Repairs. The project, estimated to cost $1.5 million, will be overseen by the Federal Highway Administration. The project calls for milling the existing roadway in preparation for repaving, new paving, drainage upgrades and repairs, and installing new guardrails and traffic signs. Crews Have Covered the Storm Drains Along West Mountain Drive To Prevent Construction And Paving Debris From Entering the Drains. of Road Repairs and Warns of Possible Delays. Temporary lane closures are to be expected as crews work on the roadway and stage their equipment at work sites along the route. Milling of the roadway will start in early April, weather permitting; and at times the road may be closed to all traffic, requiring drivers to use either Central Avenue or Blacksnake Mountain Road to exit the Valley. Plans call for the work to be completed by the end of June 2012. Drivers are urged to use care when traveling over West Mountain, observe all traffic signs and follow any directions given by flaggers.